It is important to recognize that for all medical procedures, including those performed at Imagen Body Sculpting, individual results and experiences may vary. Click on 4D Hi Def Liposculpture photos to enlarge them. 6 weeks after Hi Def Liposculpting to abdomen-Individual results may vary. 3 months after 4D Hi Def Liposculpting to the abdomen and flanks-Individual results may vary. 6 months after 4D Hi Def Liposculpture to abdomen, flanks and chest-Individual results may vary. 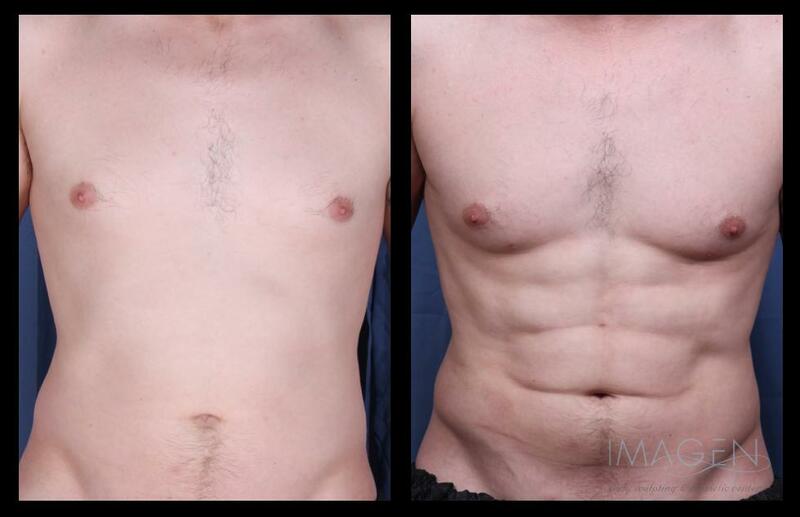 2 weeks after 4D Hi Def LipoSculpture to abdomen and chest-Individual results may vary. 3 months after 4D Hi Def Liposculpture to the abdomen and flanks-Individual results may vary.